Not need for wires no and no need of frequently battery changes 365 days of battery life, it partnered with anchor put their most advanced battery technology inside the evercam and by using low frequency transmission signal to stay connected on standby mode saving energy by up to 70%, evercam will keep on working for up to a year with needing to be recharged, with the adjustable ball shape mount evercam can be positioned and repositioned using either single screw mounting base or skip the mounting hardware the magnetic 1080p HD camera will just stick to all kind of metal surfaces. 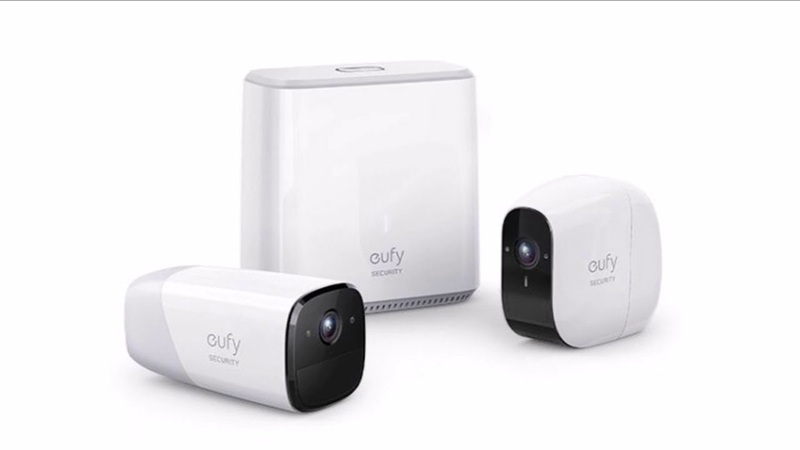 Motion trigger and WI-Fi connected evercam sends you notification when someone on the door or someone on the chair, even if someone is raiding the fridge, the artificial intelligence of evercam use a three phase system to ensure you see what you want to see. Step one it’s able to screen out movement that doesn’t have the heat signature using an infrared sensor. Step two it detects human body shapes in various positions. And step three facial recognition technology allows evercam to recognize faces of the people you want to give clearance to or keep closer eye on, so just set your preferences to send an alert when it matters, and another feature is evercam has two way audio , evercam is the first to put an SD card into home base securely storing 60 days of footage locally no need to go to the cloud no up charges or monthly charges. Santa bot is the world’s first robotic ball collective Tennibot perfectly integrates computer vision and artificial intelligence to detect tennis balls on the court and collect them from players. You can let kind of all work autonomously using the station that easily attached to the net post or Tennibot app to have the customize wear in the court the device will clear Tennibot easily sync to your phone and even your apple watch to make activation quick and seamless the app also keeps track of how many balls are collected during the session and how often you practice so feel free to brag your friends about you are you stepping up your game while never having to pick up tennis ball Tennibot is designed with convenience in the mind the removable bucket holds up to 80 balls and lets you easily continue your hitting session. The battery takes only 90 minutes to charge and runs 4 to 5 hours. Its portable design let you pick up Tennibot on wheel off the court just like any suit case and when you done it’s compact size makes it’s easy to fit in your car’s trunk. It send sound directly to your ear and only you can hear it. Battery has 2-3 days standby time on a single charge 7 days standby with charging case Talk time: 5 hours Size: 3.7V 90mAh Lithium Polymer. Bluetooth is compatible with all devices Bluetooth 4.2 A2DP profile and range is 30ft/10m. Wireless charging via case Charging time: 2 hours Case is charged via USB. 6-axis accelerometer & gyroscope Infrared proximity sensor 5 field capacitive touch pad. iPhone 5 + running IOS 8 + Android 4.3 + app compatibility. So the All Terrain will probably not keep you dry if you plough through every puddle you see or run during a particularly heavy downpour, but that would be asking a lot of it. Adding a raised collar is always risky because when running shoes extend their collar towards the ankle, the extra fabric has an unwelcome tendency to rub against the achilles and produce blisters. I am happy to report this was not the case with the UltraBoost All Terrain, though it was more comfortable to wear it with socks that extended up past the collar, rather than with the fabric of the shoe in direct contact with the skin. 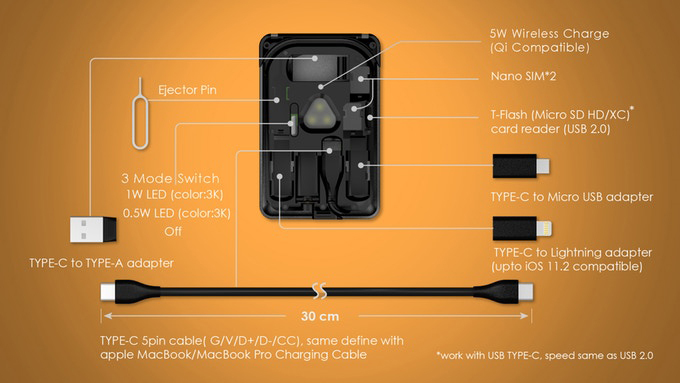 You have so many different chargers, for your phones (iPhone and Android), tablet, travel adapters, portable battery and more Type C devices coming up. BUT, you can’t throw away all of your old micro USB devices, and Apple just wouldn’t give up on their lightning connector. So, the question is, how many types of cables do you need for all of your devices? The answer is 6. There are at least six essential cables that you need. We’ve all been there, searching frantically for the right cable for a particular device. Murphy’s Law reminded us that you probably wouldn’t have the right cable in time of emergency, when you need to charge your device the most. How easy is it to bring 6 different types of cable with you at all times? We say very. Very easy! When there is no internet, no email access, how do you transfer a file to someone? Thumb-Drive works…but waits what if someone only has Type C ports. What now? Created by professionals, The Webcaster Gun™is the only UL listed, patent pending designed gun available for the amateur halloween decorator. Any Home Haunter can take an ordinary scene and add cobwebs to bring the scene to life. Connect a simple air compressor and insert our Webcaster Sticks. In minutes you’ll have an amazing scene! Backrelease is the first choice for you for apply the targeted and regular treatments, with backrelease 3 attachments localize pressure can be created very easily the device can assemble in a very short time and ready to use. Introducing the newest addition to the Trailer Valet family: The RVR Series. Our first self-motorized and remote-controlled series of units, the RVR is designed to take the chore out of moving your trailer. With the RVR you can now move your trailer without bending over or the need to use your own drill. The RVR comes with a rechargeable lithium-ion battery that can give you up to 30 minutes of runtime. The included remote control allows you to not only move your trailer with just the push of a button, you can do it from up to 40 feet away. Now you can move your trailer into tight spaces without having to ask someone else to help you look around the corners. Heavy-duty caterpillar treads allow the RVR to go over different terrains including asphalt, gravel, grass, and dirt. The RVR also comes with 2 or 4 planetary gear motors that can drive both single and dual axle trailers. With three models ranging from 3,500 lbs, 5,500 lbs, and up to 9,000 lbs, there’s a RVR for every trailer. RVR5 and RVR9 models includes the Trailer Valet Base + Ball Set attaching the unit to your trailer coupler. This includes interchangeable 2 inch and 2-5/16 inch hitch balls. The RVR3 includes a Mounting Bracket, attaching the unit to the side of your trailer frame. Count projects virtual objects on to real ones so that the user can feel the texture of the real objects instead of a cold display panel,” said Kenneth Wu, Yinscorp LTD CEO and co-founder. “Technology is moving toward connecting people across distances and providing an immersive virtual/augmented reality user experience, but this trend unintentionally isolates people from their close families and friends. Count delivers technology designed to bring them back together. Eye-friendly display — Through mirroring the display of a smart phone, Count expands the display size and reduces the blue light exposure to lessen eye strain. Collaboration — A big projected desktop area and the Count’s applications bring people together by allowing two users to access the platform simultaneously. Versatility — The multi-function platform turns a desktop into an efficient workspace: the user can, among other things, make video/voice calls, play music/videos, play AR card games and learn how to draw. Flexibility – The pico-projector is rotatable and detachable, enabling multiple-angle projection. The maximum projection size is 120 inches diagonally. Interactive inspiration — With an interactive desktop and spatial augmented reality technology, Count can motivate and inspire users to learn more through entertainment. 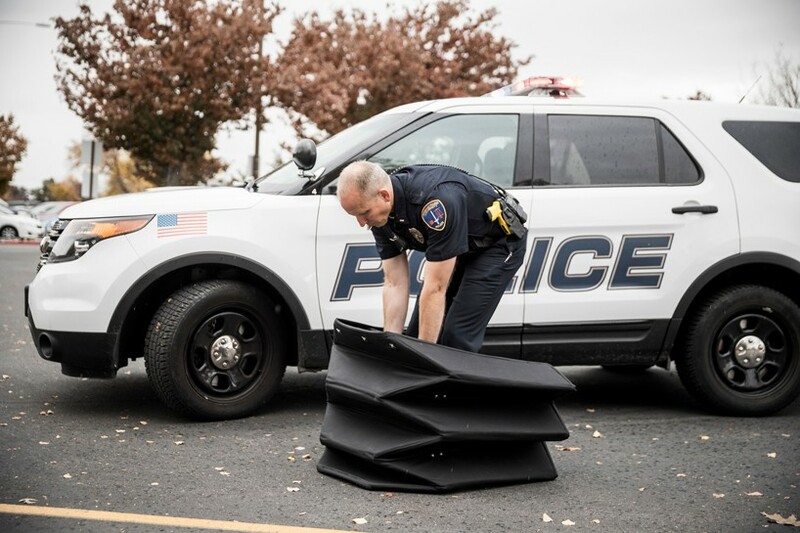 BYU (brigham young university) engineering professors have designed a lightweight origami-inspired bulletproof shield that can protect law enforcement officers from gunfire. based upon a yoshimura origami crease pattern, the barrier can be assembled in just five seconds and folded compactly when not in use, making it easier to transport and deploy. in working with law enforcement, BYU (brigham young university) learned much of what is currently used hasn’t evolved much from medieval times: shields that are mostly flat, awkward plates that cover only one person. current barriers are so heavy and cumbersome they make it difficult for officers to move into position. 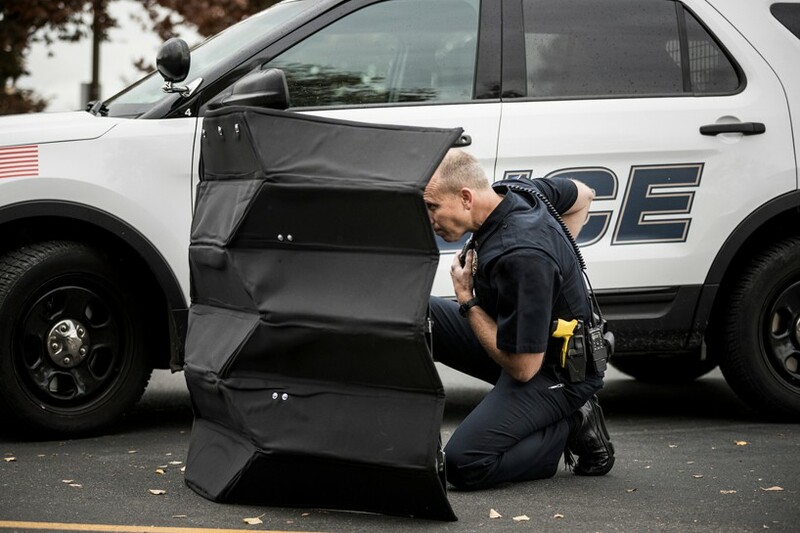 in response to these issues BYU researchers designed a compact version using a yoshimura origami crease pattern made from 12 layers of bulletproof kevlar which expands around the officer when constructed. at only 55 lb (25 kg) the barrier is almost half the weight of current steel-based shields and can safely protect two to three people at once. in testing, the barrier exceeded researchers expectations by successfully stopping bullets from 9 mm, .357 magnum and .44 magnum pistols.